Clearing out the energy of others or of situations we don’t wish to be attached to is really important, especially right before a Reiki session. It’s also a good way to begin and end our day. It is especially useful if we have just experienced something upsetting or painful. By using visualization and our breath, within a couple of minutes we can call our own energy back to us, center, and release all that isn’t ours. This exercise uses the breath and visualization to imagine that the breath is sweeping our energy clean, leaving behind only what belong to us. Begin by relaxing the muscles in your belly. Take a full breath in and release it. 2. Close your eyes and feel the energy in your body. Take notice of how you are feeling and where you are tense. Notice any emotional energy that is in you. 3. As you take your next inhale, imagine the breath is pulling up through your feet, flowing up your body until you reach the top of your head. See the breath flow back down your body as you exhale, until it flows back out of your feet again. 4. With the next inhale, imagine the breath coming in through the entire back side of your body, flowing through you until it has come out the front side of the body and into the aura at the top of the breath. Then let it flow back again, through to the back side of your body and aura with the exhale. 5. With the next inhale, see the breath flow in through the left fingers, down the arm, through the body and out through the right arm and fingers. With the exhale, see the breath flow back the way it came, through the right fingertips and arm, through the body and out the left arm and fingertips. 6. Ask that all energy that is not yours release to the Universe and to the Earth to be reused for a greater purpose. 7. Ask that all of your energy that has scattered elsewhere return to you. See yourself becoming very centered and grounded in your body. 8. Take one final inhale to clear your aura, sweeping away any debris. As you exhale, see it floating away. Use this exercise any time you need it throughout your day. I like to use it prior to meditation on days when my mind is feeling overactive and I can’t settle in. I have also found it helpful when I was dealing with stressful situations or overwhelming emotions. It is especially nice before and after a Reiki session to help clear and balance my energy, bringing my center back home. Brilliant exercise will give this a try thanks for all the info u share very informative ???????????? You’re welcome! So glad you find the information helpful. Will try this.. just what I need tight now.. Thank you ???? So glad it resonates. Please let me know how it works for you! Thank you for sharing the wonderful breathe cleanser process. It’s user friendly. I’m glad you find it useful! Blessings. Wonderful ! Thank you so much! Love & Light!!! Thanks for the article. my doubt is that when I suddenly remember to do reiki for something that comes my way and I cannot wait for the whole ritual to start from consecrating to the divine power to start invoking reiki, can I use the CKR and SHK symbols there and then. will it work? Jaya, Yes! 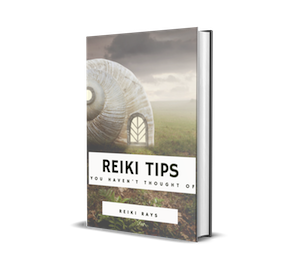 There is no need to make Reiki into a complex ritual. Simple intention is all that is needed to activate the flow of Reiki energy. You can use the symbols, or even simply ask and intend that Reiki begin, and the Divine Energy will flow. Universal Life Force is always within and all around us, right at our fingertips. It is not separate from us, requiring us to work hard to reach it and bring it into our lives. It only takes our honest, humble and sincere intention to connect. No complicated ritual required!